Weekends are for hacking up crazy ideas (and so are evenings). 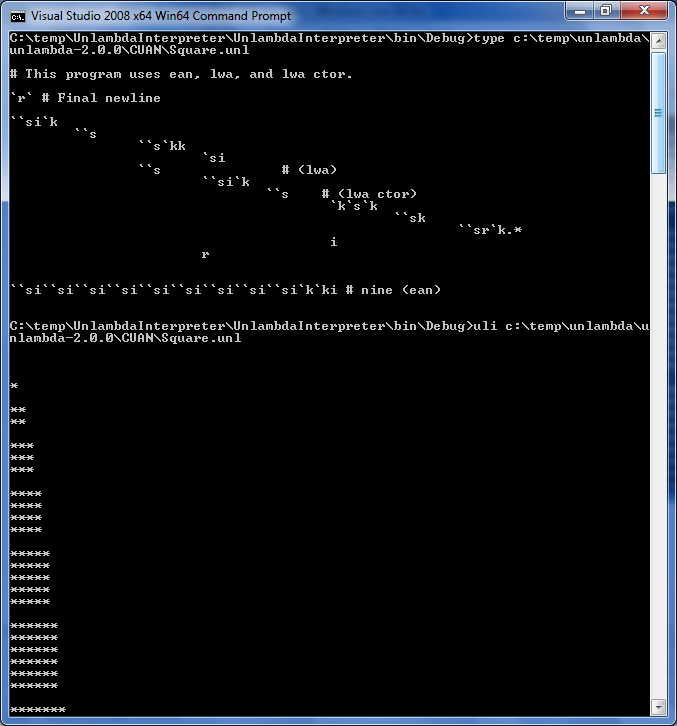 This weekend was no different; amongst other things I got around to implement an Unlambda interpreter in C#. A what? Let’s talk about that first. Warning: Reading this post can cause permanent brain damage. It definitely helps to have some understanding of lambda calculus, SKI combinators, continuations, and more. This means that the language was deliberately built to make programming painful and difficult (i.e. fun and challenging). Here I have declared three functions. The first is the identity function: given x, it simply returns x. The second one takes two arguments and drops the second one, just to return the first one. The last function is more subtle. Remember that all we manipulate in lambda calculus are functions: the arguments of the last function are named x, y and z and are all functions. Functions can be applied to other functions: this is simply written by juxtaposition (putting symbols next to one another). For example xy stands for apply x to y. This happens in a left-associate manner: xyz means (xy)z, so the function resulting from evaluating the application of x to y is next applied to argument z. The last function I’ve shown above does use parentheses to change the evaluation order: x is applied to z and that result is applied to the result of applying y to z (still follow?). I is known as the identity function. It’s actually redundant, as SKK is equal to I (to try that, evaluate SKKx = Kx(Kx) = x, therefore SKKx = Ix and thus SKK = I through extensionality). K is the constant function: it produces a constant output (given by its first argument) no matter what it’s applied to next: Kx(whatever) always produces x. It’s a simple as that. S is the substitution function. Instead of applying x to y directly, it first applies z to both functions (producing xz and yz) and then applies those two to one another. So the third argument, z, gets “substituted” in both x and y through application. Having just S and K makes a language Turing-complete. All good things boil down to two: binary, duality, S and K. So, all we need to write all sorts of programs is a machine with two instructions: S and K. (Question for the reader: Can we do with less?) Needless to say this leads to obscure code, but that’s what unlambda stands for. And now you see why the language is called Unlambda: there’s no lambda operation (abstraction) left, everything goes through the combinators. Ignore this curiosity for now; just keep in mind it’s a “handy” way to write programs using plain old lambda calculus and make it fit in S, K and I combinators. There’s no reason for me to duplicate the Unlambda Reference here. The main operators are ` (backtick, for application), s, k and i. A few others are provided to make the language more usable (., r and @ for input and output, as well as ? and | to deal with input state). And as Unlambda is meant to be a pain in the neck, David added some interesting complications such as Call/CC (call with current continuation, known from Scheme) and promises (a way to delay evaluation). This one prints the Fibonacci numbers by means of asterisks (*, *, **, ***, *****, etc) separated by newlines. Try to spot the output in the see of combinators: . * prints the asterisks and r prints the newlines. It’s trivial to see that applying inc to 1 (represented as I), yields 2. I’ll leave it to the reader to verify that applying inc to 0 results in 1. Also calculate 3 from 2 using the inc function. 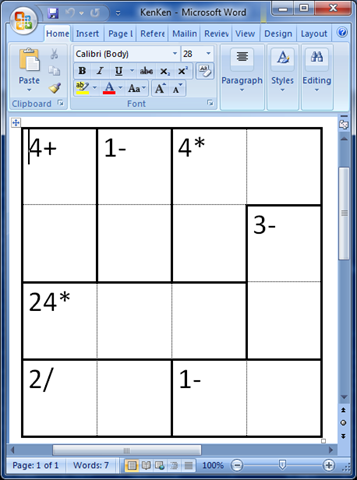 Exercise: Apply plus to 1 and 2 and check it corresponds to the result of inc 2 (previous exercise). But this deserves a bit of explanation. First, the comment-and-whitespace ignoring loop: this simply scans input for whitespace and if an # is encountered, drops the rest of the line. 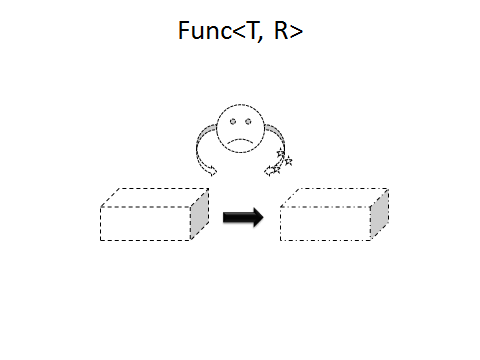 Function expressions correspond to built-in functions. The arguments to the constructor will be explained next. The delayed function expression for “d” promises. 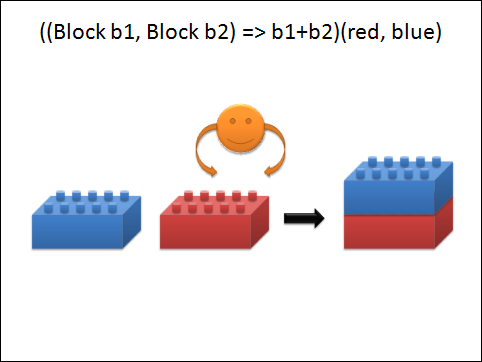 Essentially the same as a regular function expression but a different type to recognize during evaluation. The apply expression that takes two expressions and applies the first one to the second one. This corresponds to the ` operator: `AB means applying whatever A is to whatever B is. The ReadNextChar helper tries to read one character and throws if the end of the file is reached. This is fine, it will only be called when we really expect a character in the input stream. Notice how functions like . and ? read one character ahead to get their corresponding character (to print it, ., or compare it, ?, respectively). So, the output of the parser is an Expression object, and we know there are three subtypes. How do those look? Simple, isn’t it? 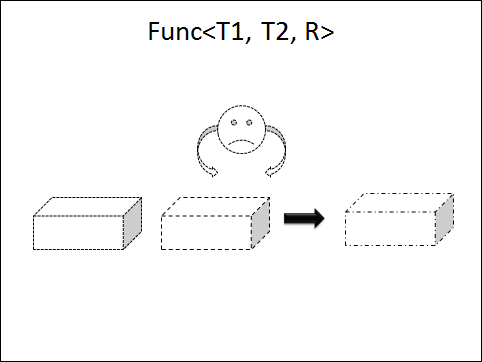 As you can see, each expression can be evaluated through an Eval method. 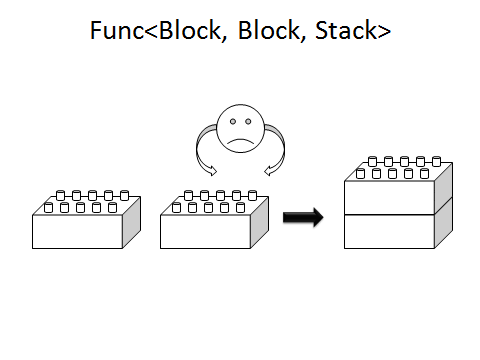 We’ll talk about that next, in addition to the Function and Continuation types. This delegate takes in a Function (the result of every computation in Unlambda is a function, remember there’s nothing but functions) and returns a Task. Where does that come from? Say we have an expression that computes some function: we call it by means of the Eval method. Eval wants a continuation, essentially saying what to do next after Eval completes. We begin by saying the thing to do after the top-level expression (i.e. representing the whole program) completes, is to exit the interpreter. The “return null” statement will never be reached. 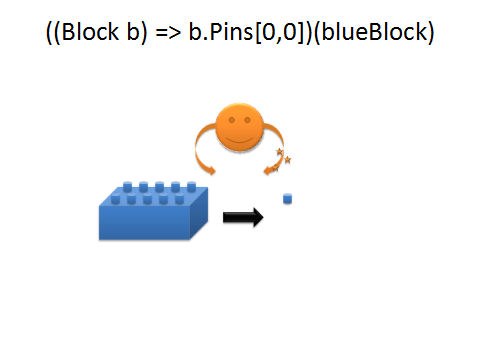 An alternative implementation would be to break from the loop in a null-task and make exit simply return null. So, how does ApplyExpression do its eval? Ah, we’re getting somewhere: basically the evaluation of an applications hands back to the caller a task (notice the () => … lambda to new up a Task) that will “recursively” call the Operator’s Eval method to get the function to be applied (e.g. ` (SKK) (KSK) will first evaluate the operator (SKK), to I that is, and then evaluate the operand (KSK), to S that is). How the inner Operator.Eval works is irrelevant for now. The idea is that Operator.Eval will return a Task and the thing we return from the ApplyExpression’s Eval method needs to be a Task too. So, you see that the result of calling Eval on the application is a new task with the first thing it will do being the evaluation of the operator. This allows the main loop to continue calling through the resulting task objects, and you see the call stack never grows deeper than a single eval. Remember a function takes in a function as its argument (here x) and a continuation (here c). All I does is taking its argument and passing it to its continuation as-is. 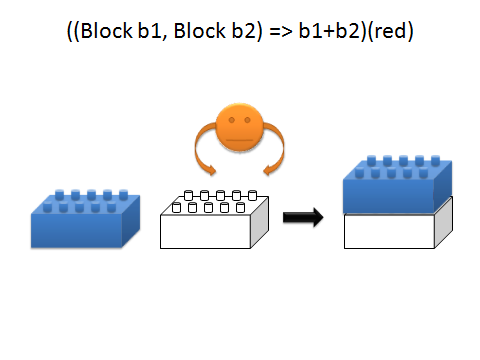 This should be simple to understand: we just continue the computation with I’s argument, as the effect of applying I is nothing but returning its argument (identity function behavior). Here we curry K, a function that takes in two argument x and y, to eat one argument at a time. Every argument comes with the continuation for that application. That explains the (x, c) and (y, c1) input pairs. Recall what K does: given two arguments, it simply returns the first one (x). So, once we have the two arguments (one at a time, through currying), we apply the first argument (x) to the continuation we have at hand. That’s what c1(x) does. 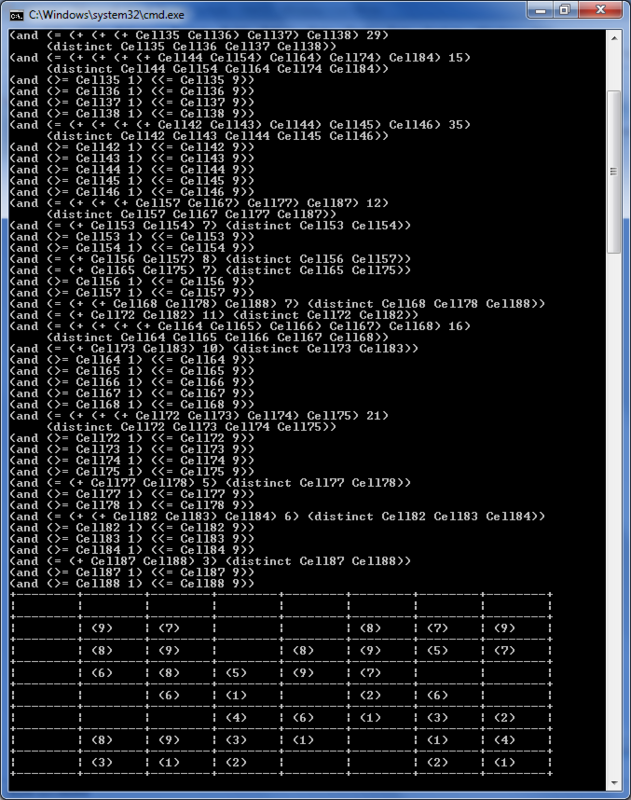 This is nothing but the curried version of K. The y parameter is irrelevant as K doesn’t look at it. So in essence: calling K with the first argument returns a Task that results from calling the supplied Continuation with a new (curried K) Function that on its turn evaluates its continuation to x, the surviving argument from K.
This consists of three applications: first x to z, then y to z and finally the results of the first application (x z) to the result of the second one (y z). But we already have the ability to apply functions by means of our expression tree model, so we just new up an expression tree that represents the computation (x z (y z)). Then we call Eval on it, passing in the current continuation at hand, so it will eval the whole thing and pass its result (a Function, as everything in Unlambda is such a thing) to the continuation c2. I bet this will be overwhelming, but that’s what esoteric languages are all about: an impractical nature :-). Read takes input from the input stream, sees whether we reached the end or not, and sets the lastChar – a nullable char – accordingly. 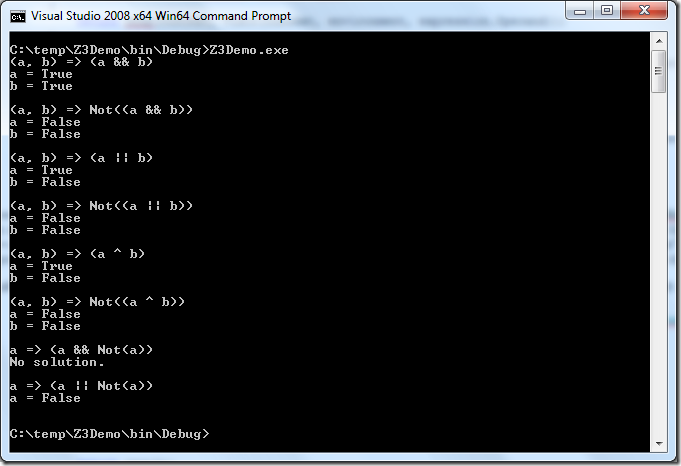 Next, it returns a task that will call the function following the Read (@) call, i.e. x. 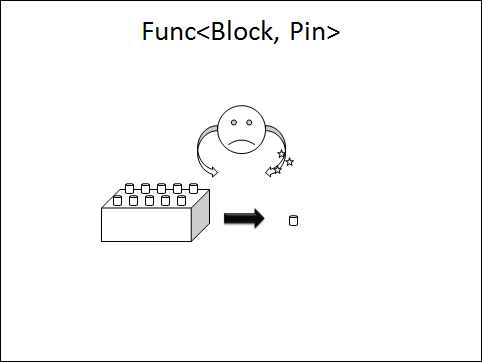 The argument to that function becomes either the identity function (causing execution to continue in essence) or void (something bad happened), depending on the input that was read. And obviously it passes on the continuation. Reprint is very similar and defined in terms of a yet-to-be-defined built-in Print function. But again, it either passes on the Print function or void (in case no character is available yet, or anymore). which again follows the same pattern as the Read function: if equal, I is returned, otherwise V is returned. 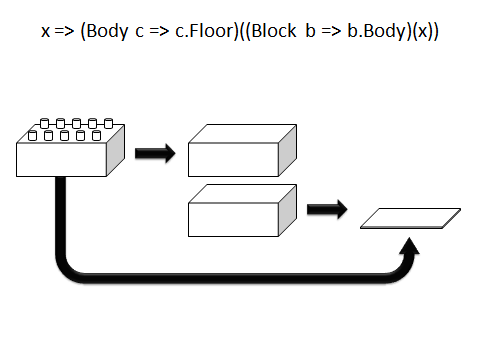 This allows for some control flow constructs. This is Call/CC: a function that returns a new task (() => …) that calls the given function (x) with the current continuation (c), but also causes the function’s argument to become a function that ignores its own continuation (c2) and instead uses the current one. That’s the crux at the heart of Call/CC: it ignores that passed-in continuation, and substitutes it by the current one. David has a good overview of Call/CC if that seems exotic to you. So the task returned by the Eval’s continuation simply calls the deferred function f and passes in f1 as its argument, also asking to be continued with D1’s continuation. Only when D1 gets called, as explained in the previous paragraph, evaluation of the operand will be forced (as promised). That is, we evaluate the operand by passing in a continuation that subsequently will call the function f with the evaluated argument, passing in the continuation. If you read the whole (eager) evaluation from left to right you can see we first evaluated the operator, then the operand, and finally called the function. So, there are three nested tasks here (look for () => …). Sweet – looks right, doesn’t it? 1, 1, 2, 3, 5, 8, 13, 21, etc. This said, it’s always possible I made some mistake somewhere, so don’t make your next space shuttle project depend on this code :-). Gentle as I am, I’ve made the code available over here. Enjoy <g>! Declarative language constructs like query comprehension syntax often worries imperatively trained developers. I hear this quite a bit, and the excuse of “It Just Works” is often not satisfactory for most of them :-). Combine this with interesting behavioral differences like lazy evaluation and lots of developers get lost in paradise. Actually the perceived problem is not with LINQ itself, typically a lack of solid understanding about the query execution model causes grief. So one thing that can help to address this problem is a better visualization of how a query executes. Advanced query “providers” like LINQ to SQL offer logging capabilities to inspect what’s going on, but LINQ to Objects lacks such a capability. In this post, we’ll have a look at possible approaches to make debugging LINQ to Objects (and hence LINQ to XML) queries easier. At the end of the day you’ll come to the conclusion it all boils down to knowing precisely what the semantics of the various operators are and how the execution works in the face of laziness etc. This is not useful for the debugging of the query itself. Even more, it’s actually distracting: breaking on the line marked above and continuing execution (F10) doesn’t really do much interesting things. That is, the query doesn’t execute here. LINQ queries are evaluated lazily, only when someone starts to consume them (like foreach or some greedy operator like ToArray, ToList, etc) things of interest start to happen. Note: In the screenshot above you can see some weird animal – WhereSelectArrayIterator. This reflects performance optimizations carried out in the 3.5 SP1 release where consecutive where and select clauses are optimized into one iterator. In addition, the knowledge the query is carried out over an array can be used to exploit characteristics of arrays to boost performance as well. To set those breakpoints, put your cursor somewhere in the clause’s body and press F9. While this can definitely help, together with conditional breakpoints and such, it might become tedious when dealing with more advanced queries and/or big input sequences. Also, nested queries and joins can be puzzling when you observe the execution behavior this way. One thing that can help to get more global insight in the query’s execution is to have a global kind of logger. Essentially we want to add inspection points somewhere in the query (much like doing electronics by measuring certain connection points) and log output so we can see how each object flows through the query execution pipeline. Let’s start by looking at the query above in a more under-the-hood manner, by expanding the query syntax into a chain of query operator method calls. This reveals little dots which you can conceptually compare to our desired measurement points (almost as in electronics again :)). Cool – inline logging. To put a logger at the tail of the query, I had to continue the query using “into”, but that’s a relatively little detail (and at that point it doesn’t matter much as the results of the query will be fed in to the consumer as-is). 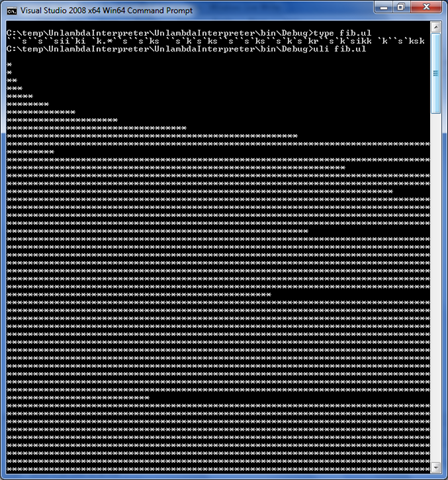 And sure enough, if you try to run this, you’ll get precisely the same output as before. Maybe the above suffices, but as usual we ask ourselves the question whether we can do better than this? What would better mean anyway? Well, what about a less invasive way of doing this kind of debugging? Typically you want everything logged to make total sense of the output, so why do we have to put the “watch” between every two clauses? In addition, we might want to log information about the query too, such as string-friendly representations of predicates or so. Why? If we have a lot of those and every Where call would be logged as “where” it’s hard to distinguish them (or search for them, for that manner). Another thing that’s useful to log is the thread of execution. 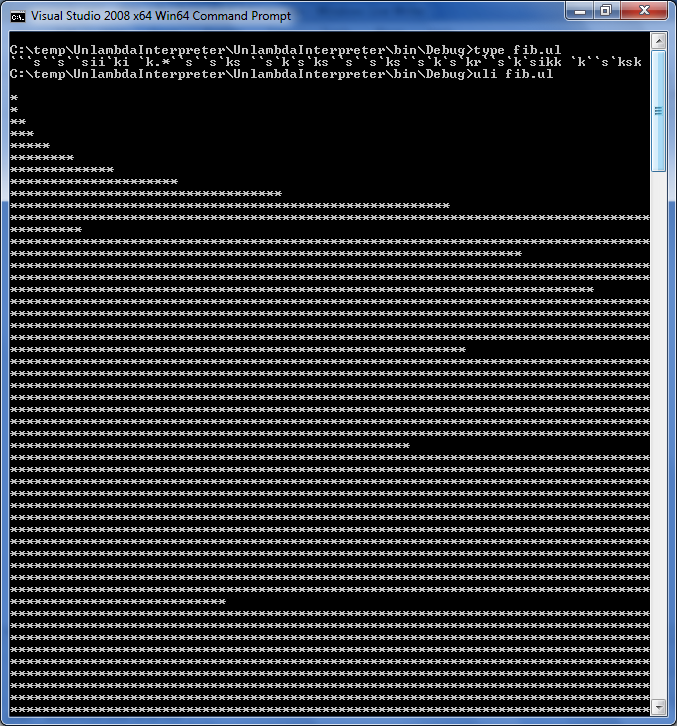 LINQ is really a virtually multi-threaded execution environment. Not in the classic OS sense of the word, but in a conceptual sense. 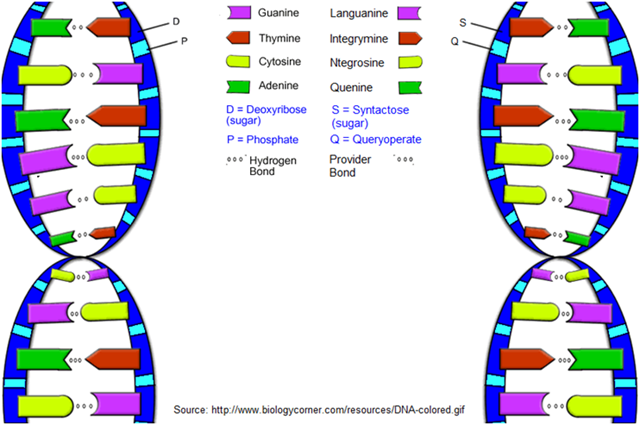 Every sequence of objects is something that can make progress independently from one another; e.g. Join can pull on two sources causing both to make progress. And those two sources by themselves might come from yet other origin sequences, such as another Join or a Concat or a SelectMany or what have you. Seeing exactly which “thread” is producing values becomes useful information to follow the flow of objects. So, what if we could re-instrument our original query in a manner as straightforward as this? Here the string passed to Debug represents a friendly name for the “thread”. If we were to join in another source we could mark that one with a different name to distinguish them. We’ll come to that point later, but first: how does this work? Consecutive query operator calls will now be resolved against this EnumerableDebugger<T>, the most specific type the compiler knows about, first. Because we want the result still to be enumerable, EnumerableDebugger<T> still implements IEnumerable<T>. 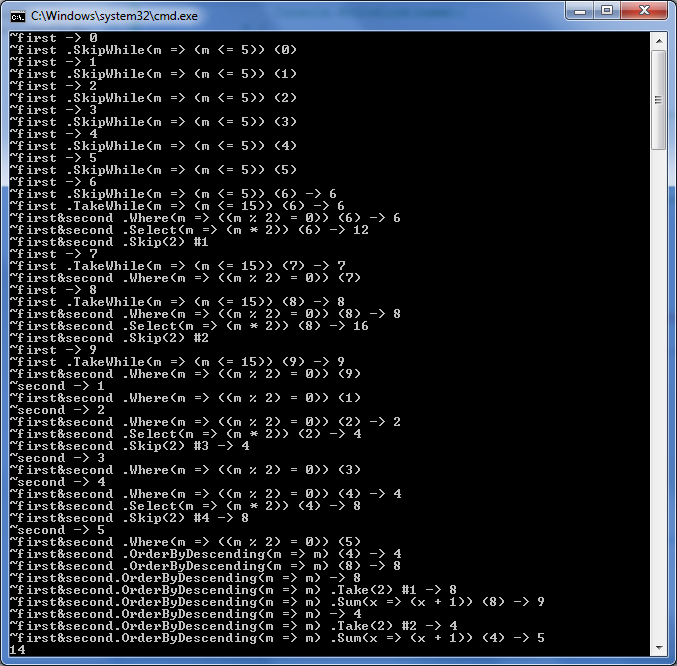 So all we need to do now is “overload” the query operator methods on our debugger type. 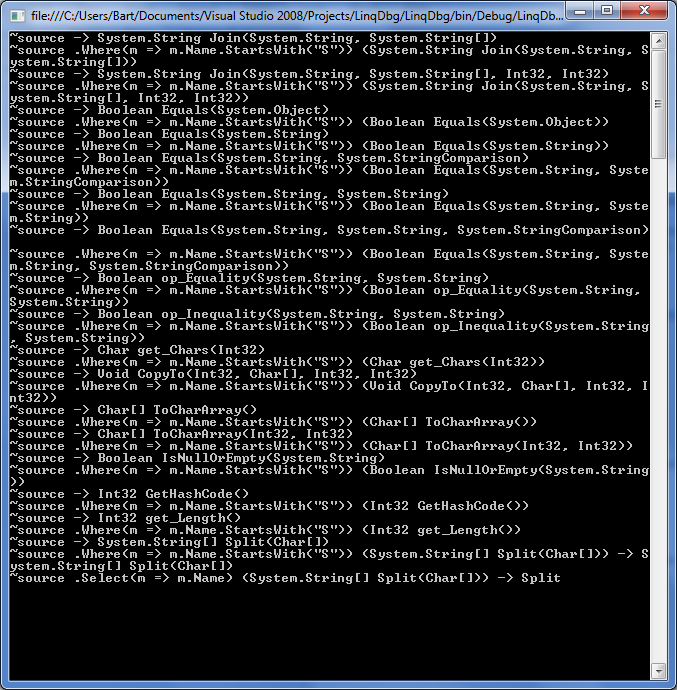 A fairly straightforward type, supporting enumeration and keeping track of a few pieces of state. The important bit is that it encapsulates an existing IEnumerable<T> and surfaces it again in some way, to be specified further. The LogOperator method logs a message, prefixing it with the source name, which indicates the thread of execution (notice the ~ syntax). This guy doesn’t do anything but enumerating over the original source, much like our Watch method did, using the logger infrastructure to write information about items to the screen. We use an item’s ToString method here to keep things simple (and actually specifying a special “ToString” with this approach gets harder compared to the previous “naive logger” attempt…). Now the implementation itself. 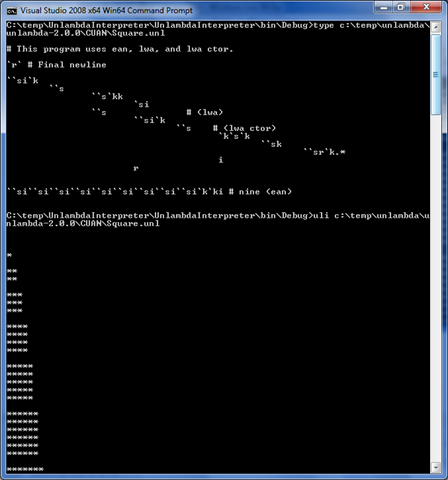 First we compile the predicate to a delegate so we can execute it just as if it were a Func<T, bool> to begin with. 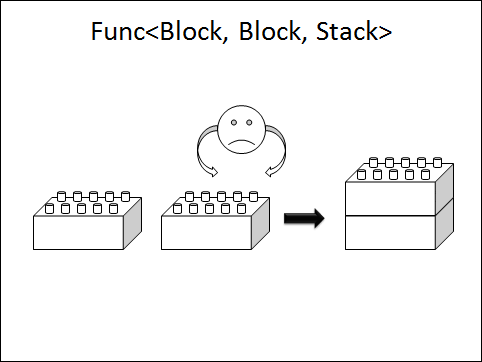 This essentially invokes the C# compiler logic at runtime (the tip of the Compiler as a Service, or CaaS, iceberg). I told you the only reason to have an expression tree was to print it here, so we get rid of the code-as-data representation as soon as we can. So, the –> is generalized as “produces”. By logging through the LogOperator method, we’ll get a prefix that indicates the source we’re dependent on. As we pass in the altered-by-adding-logging-code predicate lambda, Enumerable.Where will start calling that one, causing logging to happen. That’s what this diversion trick is all about. The result of Enumerable.Where is an IEnumerable<T>, which we should not let go as-is. Why? Because in that case, subsequent query operators (like Select in the sample) would go straight to LINQ to Objects. Instead, we want to hijack that one again, so we wrap the output of Enumerable.Where in one of our EnumerableDebugger<T> objects again. We pass on the source name as-is, because Where doesn’t Join existing sources or so; we’re basically still on the thread of execution that ultimately causes the original source to be pulled (more about this further on). Quite diagnostic, isn’t it? Here you can see none of the previous methods passed the Where filter. Split was the first one to go through and enter the Select projection ultimately to reach our foreach loop consuming the query. Okay, this quite verbose, but here’s everything you can dream of. This logs numbering of items that flow through it, indicating when the threshold is reach and when the operator starts producing results. Take is obviously the dual of this. So, a source tagged “~source” will be eaten by the OrderByDescending (in order to the ordering across all items in it), starting a new “virtual source” which is now tagged as “~source.OrderByDescending(m => m.Name)” for instance. I’m not going to cover this today, but expect to hear more about this (and potentially on how to make this debugger tool better in the face of those foreign transparent identifiers) in the future. 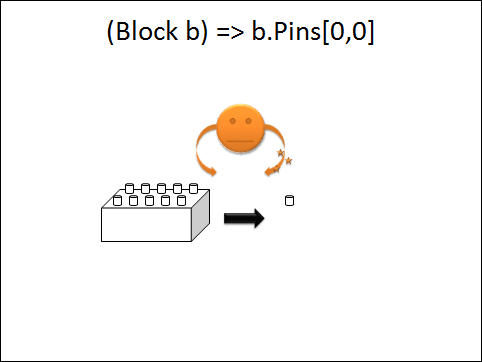 Last time around in this blog category we looked at using Z3 for testing satisfiability of simple Boolean logic expressions. Obviously Z3 is capable of doing much more, so this time we’ll reach out to the domain of integer value arithmetic. Not only that, last time I subtly hinted how this story could continue … with “a bit of LINQ”. So I’m very happy to present to you today an “esoteric LINQ binding” implementation: LINQ to Z3. While point 1 might be true (but you’ll only know for sure after reading this and subsequent posts), I’ll try to avoid it where possible: LINQ is a democracy after all. Point 2 has been true before the publication of this post, but as I’m writing this it becomes invalid: LINQ to Z3 for the masses. The final point is maybe the most accurate: “of special, rare, or unusual interest”. You’ll agree that’s not very readable. So in essence, the LINQ syntax is a very convenient gateway to simple meta-programming facilities where expression trees play a central role. And the target of such “queries” is not necessarily some persistent data store. The sky is the limit and that’s what we exploit in esoteric LINQ bindings. Notice I’m speaking about “bindings” not “providers”, the latter term being reserved for “query providers” typically (but not necessarily) in the IQueryProvider sense. Ask the resulting object for a solution, resulting in an instance of the “shape” type specified at the start. In here ctx stands for a Z3Context object that can be used to do logging of the internal Z3 expressions being generated by the binding (just like *DataContext is used in LINQ to *). We ask the context to new up a Theorem<T> by calling NewTheorem<T>. 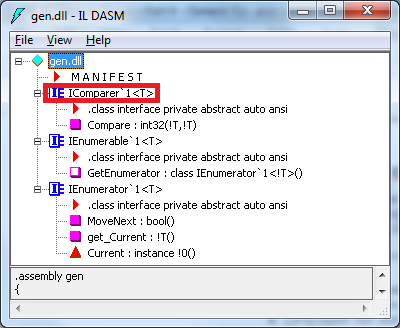 Here we use a canned generic Symbols type that has five symbolic names (expressed as properties), each of which are typed to be int in this case. 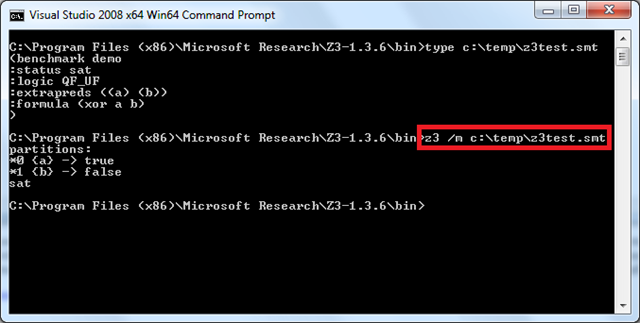 As I’ve enabled logging, you can see the Z3 expressions that were translated from the query expression. You can verify the result printed on the last line satisfies the constraints of the theorem, with many thanks to the Z3 engine. Ultimately we even want to express more complex theorem solving domains, completely statically typed, over LINQ to Z3. Examples include solving puzzles like Sudoku, Kakuro, KenKen, etc. The sample below illustrates a LINQ query used to solve a Kakuro puzzle. Word-to-KenKen-to-LINQ-to-Z3 that is: composability pushed to its limits. But let’s try to walk before we start running; first things first: the query pattern. Today we’ll have a look at how we establish the query pattern with all IntelliSense while writing the query expression. As we’ve seen before, all we need is the where operator to add constraints to a theorem. But before we can go there, we need to know how to represent a Theorem type. Every theorem has a variable number of symbols it puts constraints on: some theorem might have two Boolean symbols, another might have five integer values, or any mix of the two. There are more types the theorem prover can deal with, such as uninterpreted functions, but to keep things simple we’ll omit those for now. I’m violating the design guidelines by having properties that do not begin with a capital letter (Pascal-casing), as theorem variables have a mathematical meaning. /// Pre-defined enviroment with three symbols. /// Provides access to the first symbol. /// Used within definition of theorem constraints and to print the theorem prover's result. /// Provides access to the second symbol. /// Provides access to the third symbol. /// Base class for symbol container types. /// Returns a friendly representation of the symbols and their values. /// Used to print the output of a theorem solving task. Maybe the names X1 to X5 are quite accurate here but we need any number of generic Symbols<…> types (for a Sudoku we’d need one with 81 parameters, and X10 would stand for second row, first column, kind of ugly), so we’d also like to be able to use C#’s capability to create anonymous types (which are somewhat the opposite of nominal types, although they’re not quite structural either – the CLR doesn’t have structural typing after all – so let’s just continue to call them anonymous types because that’s what they are :-)) on the fly. But that’s overkill (and yet a bit more of noise). The where constraint clause looks very natural. What the *1, *2, you might think. What you’re seeing here are transparent identifiers at work (see the * notation in my C# 3.0 Query Expression Translation Cheat Sheet). This is a very powerful feature of C# 3.0 that allows you to write seamless query comprehensions code with multiple range variables in scope, but dealing with it from a LINQ binding’s perspective gets a bit complicated. I might go there in a future post though, but for now we’ll stick with option 1. As stated earlier, we’re about to use the “where” clause as a way to specify constraints. In other words, we need a suitable Where method so that LINQ can party on it. Where does that Where method needs to live? 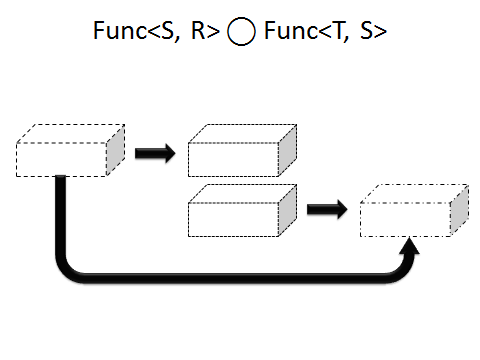 Obviously on the return type of the NewTheorem<T> method, which – as we saw above – is a Theorem<T> on the given context object (to be specified later how the context object looks like). Calling Where should put us back in the world of Theorem<T>, so that additional constraints can be specified again. In order to distinguish the generic-driven query pattern from the underlying theorem solving implementation, we’ll have Theorem<T> derive from Theorem, where the latter will keep track of the collection of applied constraints. If the second query’s Where method were to mutate the “expensive” object by adding more predicates to it, the expensiveFruits query would now query over expensive beverages because expensive got mutated. This is clearly not what we want, so every application of a query operator should provide a new instance of a query object. /// Representation of a theorem with its constraints. /// Z3 context under which the theorem is solved. /// Creates a new theorem for the given Z3 context. /// Creates a new pre-constrained theorem for the given Z3 context. /// Gets the Z3 context under which the theorem is solved. /// Gets the constraints of the theorem. /// Solves the theorem using Z3. // To be covered in the next posts. /// Returns a comma-separated representation of the constraints embodied in the theorem. /// Strongly-typed theorem type for use with LINQ syntax. /// Where query operator, used to add constraints to the theorem. 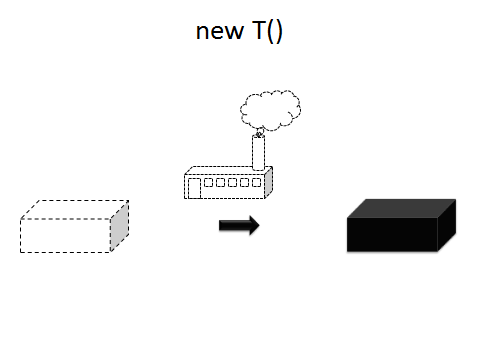 Notice how the Where method creates a new instance of Theorem<T>, passing in the original context as well as the concatenation of the current constraints with the new constraint. 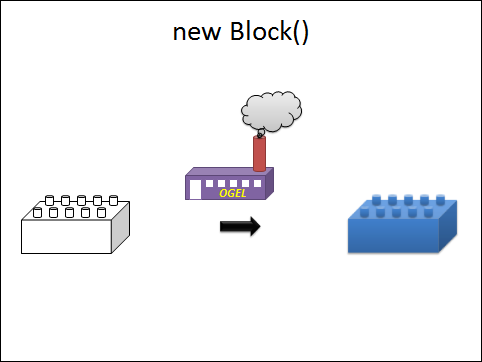 /// of the theorem prover and provides centralized infrastructure for logging. /// Creates a new Z3 context for theorem proving. /// Gets/sets the logger used for diagnostic output. /// the variables constrained by the theorem. /// type with the variables constrained by the theorem. /// create a new theorem based on the type's properties as variables. /// Closes the native resources held by the Z3 theorem prover. /// Factory method for Z3 contexts based on the given configuration. 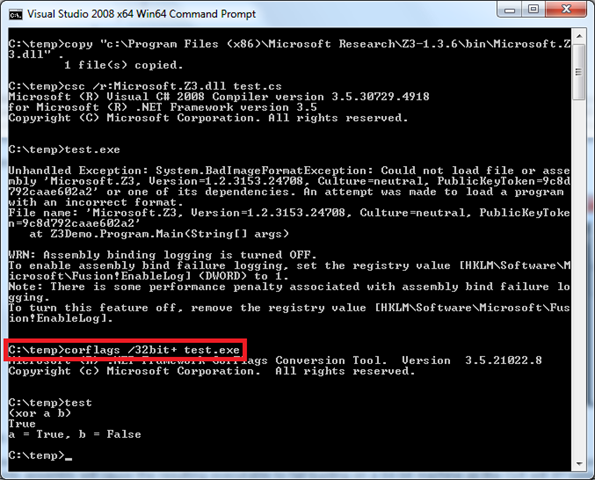 /// Helpers to write diagnostic log output to the registered logger, if any. Oh, and by the way, we don’t have a Select method implemented on Theorem<T>. Even though the query above has a projection specified, Select is not required as the projection is a trivial one which gets compiled away by the compiler. When and why this happens you can read in another blog post of mine. Solve won’t do much yet, but that’s what we’ll be talking about next time. Oooh the suspense :-). 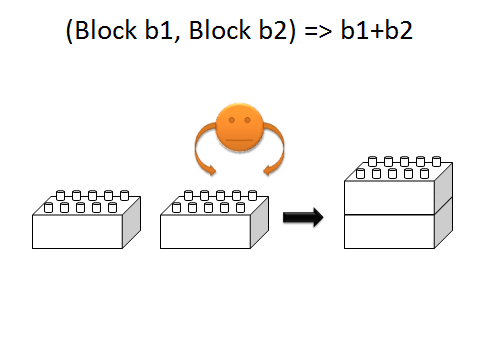 Last time around in this series, I promised to talk about generic co- and contra-variance. So that’s why we’re here today. 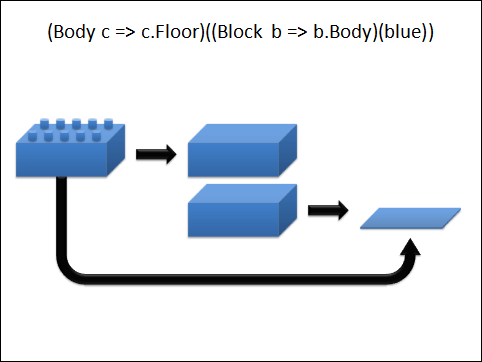 In this post I’ll explain the theoretical concepts behind these fancy-sounding terms, look at the runtime’s take on it, show how to use them in C# 4.0 and most important of all: tell you why you don’t have to worry about all of this :-). Language features with names like variance ought to come from a theoretical background, don’t you think so? Absolutely right, and that’s no different for variance with category theory being its source of inspiration. Although we often speak about co- and contra-variance (turns out C# – amongst lots of other languages – already use those concepts , as we’ll see later) there are three sorts of variance to be explained before moving on. First we need to establish the notion of type ordering. All of you know about object-oriented programming where types are used to indicate the “kind” of data one is dealing with. On top of this, subtyping is used to specialize types. Or, the other way around, operations supported on a supertype can also be applied to its subtypes (possibly with a specialized implementation through overriding and virtual method dispatch). 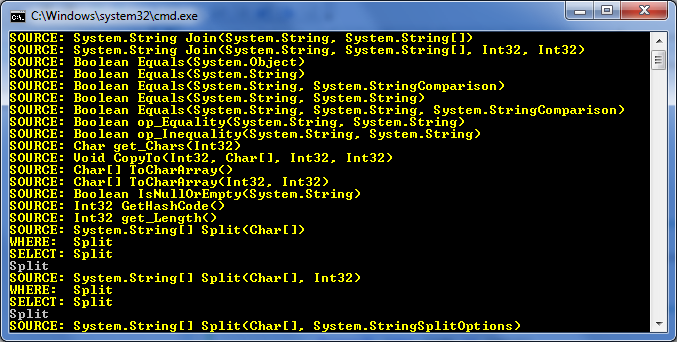 For example, System.Object has a ToString method. System.DateTime is a subtype of System.Object and therefore also has a ToString method on it (either derived from the base type as-is or overridden, but that doesn’t matter for now). Let’s use more concise notation to write down such relationships. If D(erived) is a subclass of B(ase), we’ll write D <: B. To say d is an instance of D, we’ll write d : D.
We all know this: because name is declared to be a string and the string type is a subtype of object, we can say name ought to be an object. The notation <: is what we call type ordering. I’ll leave it to the math-savvy reader to map those concepts back to the properties of binary relations, such as reflexivity, (anti)-symmetry and transitivity. What’s up with variance? In short, variance is a property of operators that act on types. This is very abstract, but we’ll make it very concrete in just a second. For now, think of it very generally: assume op(T1, T2) is an operator “that does something with/based on” T1 and T2 which are both types. For mathematicians (and programmers as it turns out) it makes perfect sense to attribute properties to that operator, capturing its behavior with respect to the types it acts on. You can think of this type declaration as an operator that, given type values for TFirst and TSecond, can give us a constructed type back (in other words, it’s a type constructor, in the Haskell sense, not the CLR sense). Now we want to be able to express type ordering relationships over such constructed generic types. For example, how does Pair<string, int> relate to Pair<string, object> or to Pair<DateTime, int> or to … whatever. More specifically, we want to be able to infer the relationship between any Pair<T1, T2> and Pair<T3, T4> from relationships between the parameters. These are the kind of questions asked by theorists, but obviously by developers today as well. Time to dive into the first kind of variance: covariance. Co as a prefix means “together with”. It means an operator preserves the ordering of types, when compared to its operands. Let me give a concrete sample, based on our Pair class above. If you know that Apple is a subtype of Fruit (Apple <: Fruit) and Tomato is a subtype of Vegetable (Tomato <: Vegetable), can you also say that Pair<Apple, Tomato> is a subtype of Pair<Fruit, Vegetable>? Looks like that ought to be valid on first sight, no? But there might be some hidden caveats… We’ll get to that soon. Today, in C# 3.0, you cannot do this because IEnumerable<T> is not covariant in T.
The opposite of “co” is “contra” which means “against”. In the context of variance it means an operator reverses the ordering of types, when compared to its operands. Again a concrete sample is more than welcome I guess. Let’s stick with fruits. We known – just repeating this obvious fact – that Apple is a subtype of Fruit (Apple <: Fruit). Now say if we want to carry out comparison between apples (IComparer<Apple>), is it possible then to use a comparison between fruits instead (IComparer<Fruit>)? Looks like that should be possible, right? Everything that can handle two pieces of fruit for comparison ought to be able to handle two apples as each apple is a piece of fruit. Update: I made a mistake in my original post, where I swapped Person and Student in the sample above. Guess it was getting late and despite double-checking all uses of the terminology, it slipped through. Thanks to Chris for pointing this out! Today, in C# 3.0, you cannot do this because Action<T> is not contravariant in T.
First a shock to the reader: arrays in the CLR are covariant. “So what?”, you might wonder. Well, and here comes the shock, it turns out covariant use of arrays is not type-safe. (Let you heartbeat go down before reading on.) We’ll get to why covariant treatment of arrays is broken, but first some history. You might assume this “broken array variance” was put in the CLI (Common Language Infrastructure, the standardized specification of the CLR, ECMA-335) intentionally. The mission of the CLI was – and still is, bigger than ever with the whole DLR on top of it – to accommodate executing different languages on the same unified runtime with a unified type system, instruction set, runtime services, etc. One such language was Java, which has broken array covariance, and being able to accommodate that language won over fixing this behavior. But what makes arrays unsafe for covariance? Another sample with fruits… The story of the fruit farmer. But because arrays are covariant, the grocery story (on the right) can treat an array of Apples (Apple) as if it were an array of Fruits (Fruit). 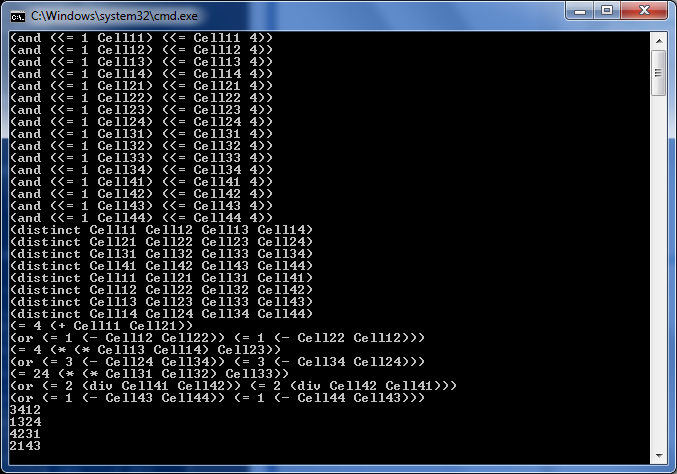 Since the cells of arrays are writeable, this opens up a potential hole in the system. What if the grocery store wants to cheat and put some rotten tomatoes in the tray (let’s assume tomatoes are fruits for sake of this discussion; if you don’t agree with this, substitute “rotten tomato” for “rotten lemon” but that doesn’t sound as bad IMO, hence the use of tomatoes). The contract with the farmer stated that only the number of empty places in the tray will be considered in billing the grocery story; so fill a few empty places with unsellable rotten tomatoes and the price gets reduced. This might go unnoticed if the farmer doesn’t enforce runtime fruit/vegetable type safety. If the contract with the juice factory states that only Apple-arrays can be passed in, but this didn’t get checked by the farmer at runtime after return from the grocery store, their juice will now contain tomato juice as well (a strange combination I guess). Or worse, the juice factory will blow up because the apple peeling machine expects a certain toughness from the apple being peeled and tomatoes are much softer (note: I don’t know anything at all about the factory process involved in creating juice, so I’m just fantasizing about possible horror stories). This mishap is illustrated below. 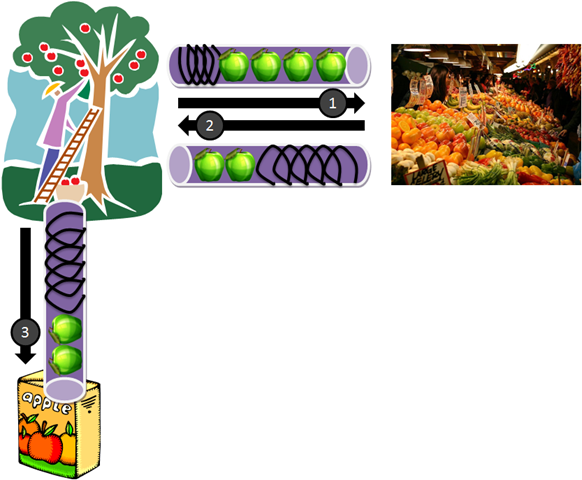 The spring depicts the enumerating behavior – you can only get things out but can’t push things in (ignore forceful mechanisms and ignoring the fact the spring might crush the apples :-)). 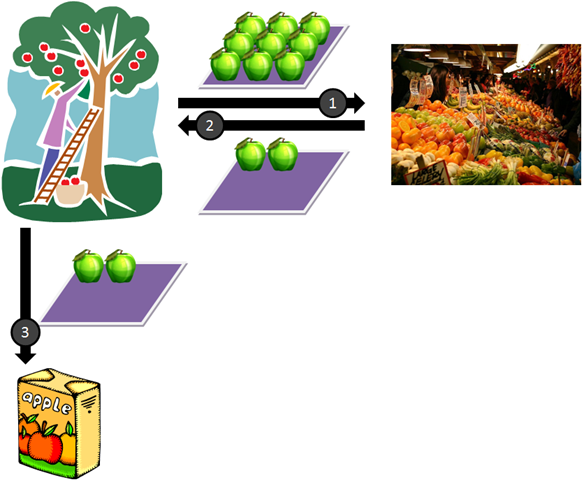 Such an IEnumerable<T> is safely covariant because you can’t push anything in, so even if the farmer treats the IEnumerable<Apple> as an IEnumerable<Fruit> all he can do is get pieces of fruit (which always will happen to be apples) out. _store.SellFruits(apples); // here the array is treated covariantly! To ensure type safety for covariant arrays, the CLR injects runtime type checks for every attempt to store an element in an array. If an object with a type incompatible with the array in memory is attempted to be written to the array, an ArrayTypeMismatchException occurs. In our case above, if the SellFruits method of GroceryStory would try to write a Tomato object to the array that’s passed in (as Fruit but that was created as an Apple array, in the PluckAppleTrees method of the Farm) the CLR would detect this and throw the exception. 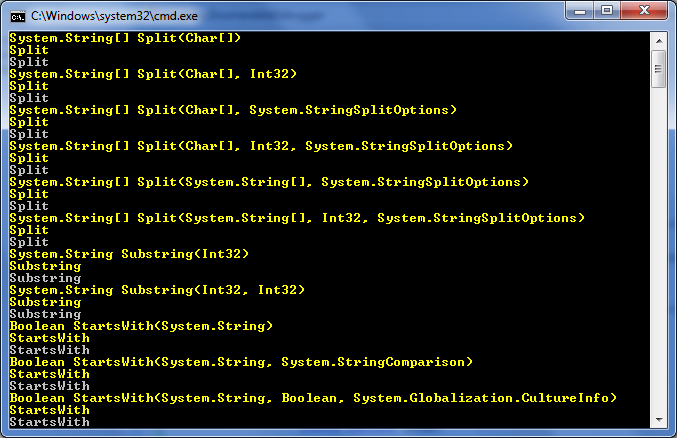 C# actually has places where co- and contra-variance principles are being used, more specifically in delegate types. A typical sample where this comes in useful is when dealing with events. 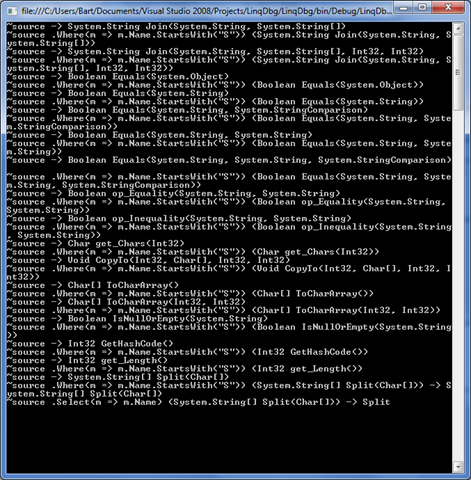 Here we’re attaching an event handler to two events which have different signatures. However, the signature of Logger uses a common supertype of both events’ event arguments type, so the compiler allows this. The reason it does is because input parameters can safely be treated contravariantly. In other words, we’re getting in a more derived type for the event arguments but we treat it as less derived. As the argument appears in an input position, this is safe to do. However, if we change the parameter on D by adding a ref modifier, it doesn’t work anymore. Languages not wishing to support variance can ignore the feature, and treat all generic types as non-variant. Enable implementation of more complex covariance scheme as used in some languages, e.g. Eiffel. The CLI supports covariance and contravariance of generic parameters, but only in the signatures of interfaces and delegate classes. 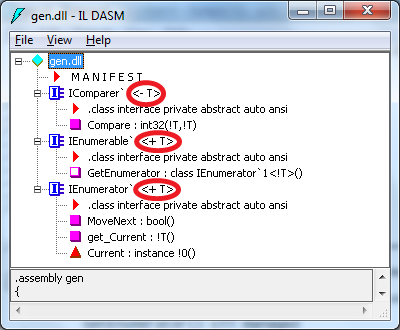 The symbol “+” is used in the syntax of §10.1.7 to denote a covariant generic parameter, while “-” is used to denote a contravariant generic parameter. However, we can roundtrip through IL to make those types covariant (for IEnumer*<T>) or contravariant (for IComparer<T>)in their generic parameter T. The difference is subtle: adding a + (covariant) or a - (contravariant) to the generic parameter T.
Covariant parameters should only be used in output positions: method return values, get-only properties or indexers. Contravariant parameters should only occur in input positions: method parameters, set-only properties or indexers. You might wonder why the compiler doesn’t infer the applicable variance annotation on behalf of the user. This could easily lead to “accidental” incorrect treatment as things evolve. Although it’s not a good idea to start changing interfaces, during development your interface types might be in flux and it would be disruptive if consumer code starts breaking all of a sudden because a generic parameter’s variance treatment has changed. It was felt it’d be better to have developers be explicit about variance. That’s it. I told’ya it was simple, no? The good thing is, you shouldn’t really know much about all of this: It Just Works (now also available for C# – inside joke).